but haven't really said much about my progress. and there have definitely been some changes. tipping the scales at 185.
which is 10-15lbs heavier than i normally am. note to self - do not get pregnant when you are already fatter than normal. and seriously, when does this weight thing get easier? the first two weeks after having b were the worst. and we had guests here every other minute. yet, it still wasn't that bad. so i wasn't that stressed. then around 3 months my hair started falling out. i remember it was the week after my 30th birthday. but i'm talking clumps and clumps of hair. hello, hair grosses me out. i hate it and its e v e r y w h e r e.
but its on me, brette, ronnie, our clothes, our floors. and it has yet to stop. i'm don't know how i'm not bald by now. but i hope its soon. look into losing the rest of the baby weight. but i was stuck at whopping 162.
until now and he weighs 168. i want to kill him. it is against my law to weigh more than my husband. pounds is too much for a girl of only 5'4 to carry. its not healthy or flattering. so at four months, i decided to work out. every morning during brette's morning nap. i lost 2 lbs in 3 weeks. and then we had thanksgiving and i gained it back. and i'll be damned if we're wearing t-shirts in the pool. to check in with each other and make sure that we were staying healthy. oh, and to remeasure and weigh-in. blah. two - my mom and i joined a 21 day weight loss challenge. it had the diet and exercise all laid out for me. pre-baby weight by brette's six month birthday. i need to keep going. i'll update you when my 21 days are up. 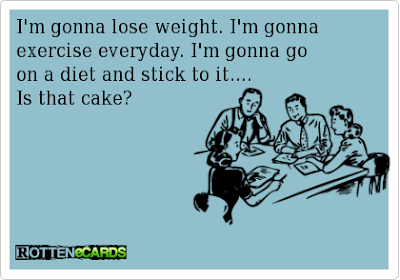 wish me luck - - - or just wish my fat away.